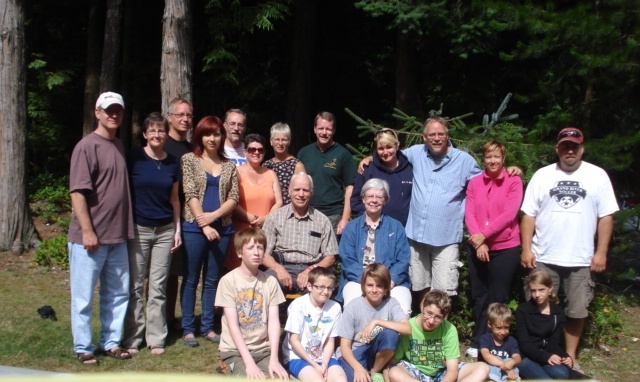 Accompanying this blog is a picture taken of all our children and some of our grandchildren when celebrating my 70th birthday on a beautiful resort on Vancouver Island. That was a memorable occasion for us! After downloading anchor.fm and TapeWrite.com, I discovered that each time I attempted to begin recording a new episode on these apps, my computer’s WIFI was mysteriously disconnected. I was able to solve this problem by downloading a Voice Recorder app available from the Microsoft Store. Fortunately, I didn’t have connection problems with SoundCloud.com, but I did need the additional help of several U-Tube videos published by Ryan McLean of PodcastFast to learn how to upload an audiotape to SoundCloud in order to publish it on my website. Now that I understand how to do it, I’m delighted to say that this process no longer intimidates me. . . I have found my experience in the Digital Literacy section of our course to be of great benefit to me as an online instructor. After using only words and occasional Skype conversations in my online courses since 2002 when I began teaching them, I much appreciate Colin’s invitation to consider ways in which we can deepen our presence with students by sharing pictures and audiotapes, and by making our course more collaborative through the use of annotative tools. I certainly intend to continue experimenting, and hope to implement some of the improvements I have learned by the time my next course begins.